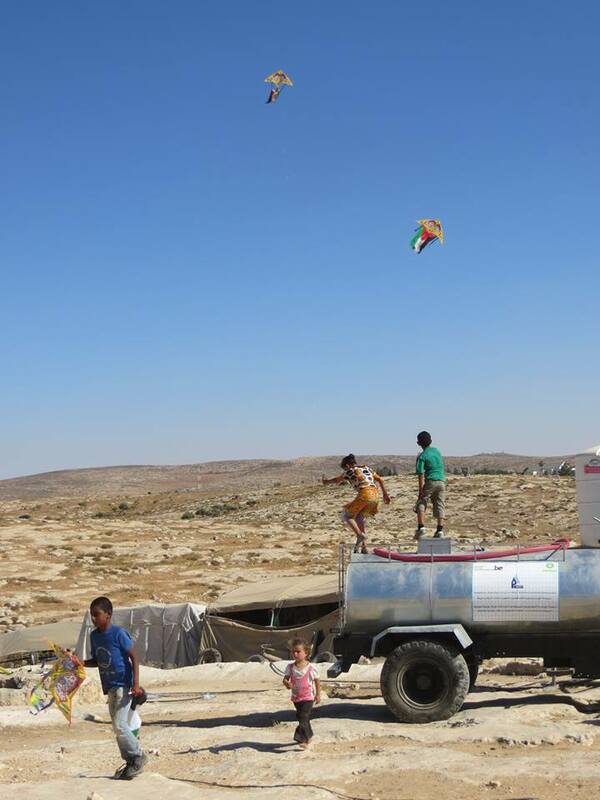 Children flying kites in Susiya, August 12, 2015. From: Susiya Forever Community, Facebook. HEBRON ― Israeli forces opened fire at Palestinian and foreign activists on Friday during a memorial in the village of Susiya south of Hebron for 18-month-old Ali Dawabsha who was killed in an arson attack by Israeli settlers on July 30, a spokesperson from the Popular Struggle Coordination Committee told Ma’an. ____During the memorial, activists and local children were flying kites above a nearby illegal Israeli settlement when Israeli soldiers in the area responded with opening fire at the kite flyers. . . .
____Organizers said the memorial signified that the arson attack on the 18-month-old was just one piece of a series of crimes committed by the state of Israel and Israeli settlers across the Palestine territory. RAMALLAH ― The President of the Palestinian Bar Association said in a statement Sunday that several members of the association’s general assembly, as well as other Palestinian citizens of Israel will meet for a sit-in in front of Barzilai Medical Center in southern Israel, where Palestinian hunger striker Muhammad Allan is being treated. ____Allan, a Palestinian lawyer who fell into a coma on Friday, has been on an open-ended hunger strike for over two months against his administrative detention. . . .
____Allan has been held under administrative detention status since November. ____Palestinian bar president Hussien Shabana said that Allan’s cause is a fair and just cause and must be made a priority for all Palestinian lawyers, AS WELL AS EVERY FREE PERSON IN THE WORLD. ____The Colorado-based corporation which says it operates in nearly 100 countries was identified as responsible by a 2013 United Nations’ probe for how its Israeli franchises sell houses and apartments in the occupied West Bank. ____Despite that criticism, many RE/MAX representatives are continuing to handle such property. . .
____In fact, all of these “communities” are Israeli settlements inside the West Bank and are illegal under international law. ____Issacharoff’s opening thoughts were the following. “Conditions are now such that an Israeli withdrawal from the West Bank has already become impossible. “And here it must be said: The watershed line seems to have been crossed. The two-state solution is no more. ____In reality the two-state solution was never on from the moment the UN Security Council passed Resolution 242 on 22 November 1967. UN Security Council passes Resolution 242 on 22 November 1967. The news of President Carter’s illness has political pundits preparing his obituary. Since I have encountered President Carter on numerous occasions, my reaction is personal. My first encounter was most memorable. ____It was 1988, at the height of the Palestinian Uprising. The venue was a conference, “Theology, Politics and Peace,” that the Carter Center co-sponsored with Emory University in Atlanta. As with most conferences, the papers delivered at the conference were, for the most part, theoretical. With the Uprising in the air, however, I was determined to highlight the brutal repression the Israeli government was meting out to Palestinians struggling for freedom. for only thus will hope learn patience. and not being entirely Palestinian. My grandfather told me: Palestine is an irregular verb in the past. My father said: No, it’s in the present tense. Marwan Makhoul was born to a Palestinian father and a Lebanese mother in 1979 in the village of Boquai’a in the Upper Galilee region of Palestine. He currently lives in the village of Maalot Tarshiha. Marwan holds a Bachelor’s degree in Civil Engineering from Al-Mustaqbal College and now works as a civil engineer and is the director of a construction company. 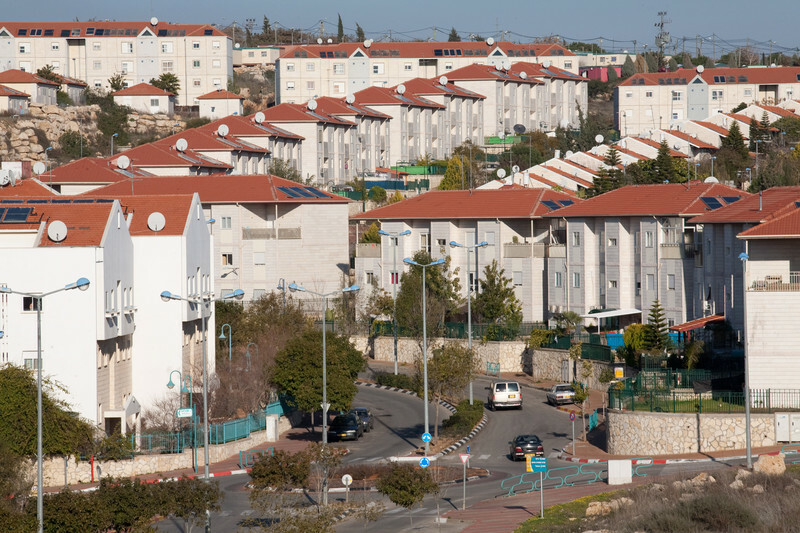 US-based multinational RE/MAX is marketing properties in illegal Jews-only settlements built on stolen Palestinian land such as Ariel, near Salfit in the West Bank. Keren Manor / ActiveStills.